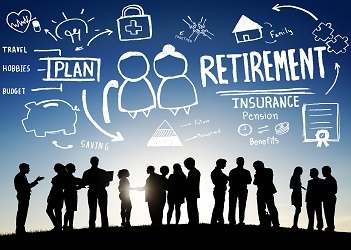 With pension plans becoming harder to come by and growing uncertainty surrounding the future of the Social Security system, retirement planning continues to be more of a personal responsibility. Faced with this reality, employees are increasingly looking to their employers for advice and guidance with retirement planning. Near the height of the recession in 2008, retirement-related concern began to gain momentum. A 2008 study by MetLife found that a majority of employees were beginning to express concerns about having a comprehensive financial plan for retirement1. The economy at the time certainly served as a catalyst for this fear, but it has not seemed to slow down since then. From the recession to now, a time of relative economic boom, these concerns remain on top of worker’s minds. According to a recent Accenture survey, 82% of workers and retirees across the U.S. and Canada would like more help with retirement planning2. Included under the umbrella of retirement planning is long-term care planning, which garners a great deal of attention on its own. One recent consumer survey found that 35% percent of respondents indicated they were “very or extremely concerned” about needing long-term care services, with 12% listing it as their top financial concern. This level of concern surpassed fears about medical expenses and losing money on investments and was neck-and-neck with concern over meeting monthly expenses3. Given this heightened level of concern, it’s only natural for employees to look to their employers for assistance not just with general retirement planning, but with long-term care planning as well. According to a survey analysis by LifePlans, Inc., among those familiar with Long-Term Care insurance [LTCi], 59% of individuals agreed they would be interested in learning about private LTCi if their employer was sponsoring a plan for its employees4. Being a benefit that people tend to purchase once and keep for the rest of their lives, LTCi requires more education and consideration than many other benefits. Having the structure of an employer-sponsored program ensures employees can educate themselves on the potential need for long-term care and consider how LTCi may fit into their retirement plans. Among employees who are fortunate enough to be offered LTCi through their employers, the benefit is greatly appreciated. One study found that when asked what the most important benefit offered to them was, the number of employees who chose LTCi was five times greater than those who chose life insurance5. Having access to consolidated resources through their employers gives employees the chance to give this benefit the attention it deserves and helps demonstrate the clear value of including LTCi as a part of one’s retirement strategy. Retirement is no longer guaranteed by hitting “X” number of years on a job or turning 65. Today, people are often left to their own devices to develop a retirement plan. Since private financial advising is too costly an option for some, many individuals would like easier access to such advice through their employers. Combining this reality with the fact that concerns over long-term care are at an all-time high, it’s clear that employers could benefit from implementing an LTCi program for their employees. Long-term care planning may just be one piece of the retirement planning puzzle, but it is a significant one, and employers cannot discount the value of providing employees with access to such financial security and peace-of-mind.